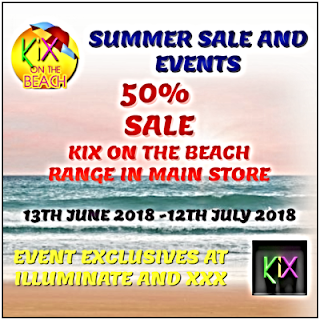 KiX On The Beach is our range of beach and patio furniture and starting on 13th of June we have a month of sales and new products for the summer. First in the main store we have 50% off everything in the range. Come on over and grab a bargain at our special. During the event we will have a raffle going where the winner can choose a prize from anything at all in the KiX Main Store and a new group gift!